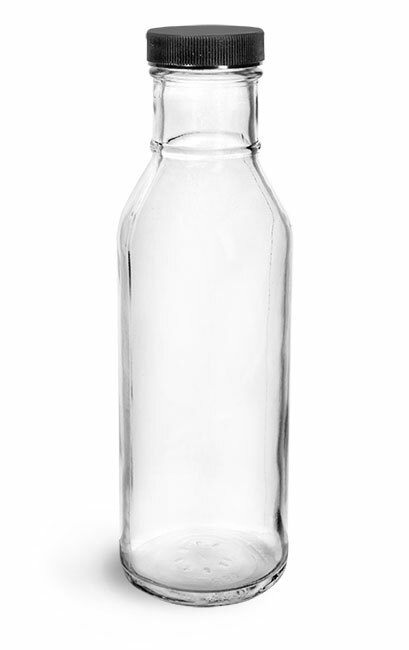 Our clear glass barbecue sauce style bottles come with ribbed black polypropylene caps with polyethylene foam liners. 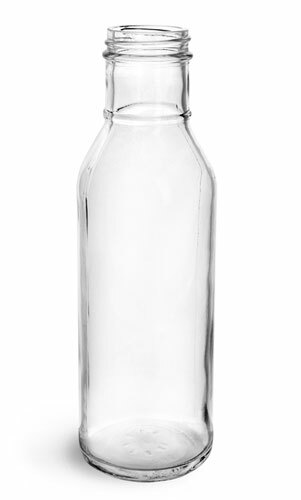 These glass bottles could be useful for packaging a variety of sauces or condiments, however be sure to test your product with the container beforehand to ensure proper compatibility. Add a shrink band to create a tamper evident seal!